In this review plus video of Apothic White wine, we’ll cover price, alcohol content, taste and more of this popular white wine. 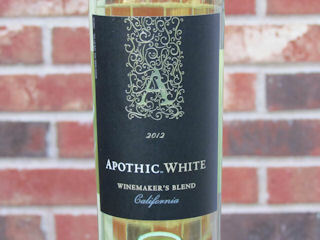 Apothic White is bottled by Apothic Wines and comes from Modesto, California. 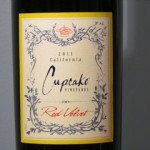 For this review, I tasted the 2012 vintage. 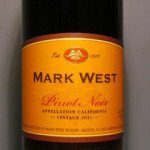 This wine is a blend of three different varietals. They include Riesling, Chardonnay and Pinot Grigio. 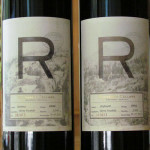 This review is one of the many Apothic Wines I’ve reviewed here on Honest Wine Reviews. 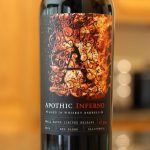 If you’re interested, you can also check out my reviews of Apothic Inferno, Apothic Crush, Apothic Red and Apothic Dark. 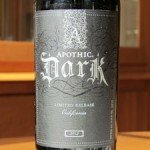 All of these wines are very popular, with Apothic Dark being one of the most commented reviews on this site, due to it’s limited release. Apothic White alcohol content, 12.0% per the bottle. In the glass, this wine is light straw in color. It also has a subtle copper shimmer to it. It didn’t appear very leggy. The wine’s aroma was noticeable from afar. It’s complex and includes notes of sweet orange and citrus. There was also a muted hint of clove or some other dark spice in the background. The flavors in Apothic White included some sweet citrus upon first sip. But, shortly after that, the sweet flavors dissipated and the more subtle characteristics of the Chardonnay and Pinot Grigio came through. There was also a tiny hint of vanilla in there. The wine had a silky mouthfeel and a long finish. Overall, I thought this was a great wine. Like the other Apothic wines, the taste of this wine is unique. The blend of the three varietals was very interesting. You can pick out each grape, but when you “step back” you can sense how each one compliments the other. If you like a silky white wine with a bit of front end sweetness, give this wine a try. Apothic White price $9.99. I absolutely love my first try to Apothic Dark wine. I ‘m going for the rest of it where I found it, and I will try other stores and get as many as possible. Thanks. Thanks for the comment! I’ll be curious to hear if Apothic Dark becomes hard to find in 2015 like it did last year. Hopefully that won’t be the case for Apothic White. 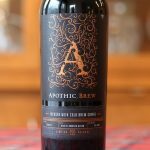 We enjoyed our first bottle of “Apothic White” recently. It’s definitely not truly “sweet”, as some other sites have described it, but is rather on the sweeter side of dry. We enjoyed it immensely with a nice baked sea scallops dinner, & will continue to consider it as a very nice accompaniment to scallop dishes in the future – scallops being on the “sweetish” side of seafood. Thanks for commenting Bonnie! That sounds like a great pairing. 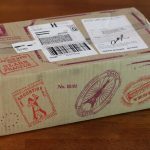 I have been enjoying the Apothic brand for over 3 years. Thru out the holidays this is the brand that I carry into dinner invites. Regardless of the occasion, you can’t go wrong if the Apothic brand is your choice……I absolutely love them!! Thanks for commenting Austina… Cheers! I’ve been drinking apothic White for a few years now. Can you recommend something similar? I’d like to switch it up a bit but am usually disappointed when I buy something else. I’d like to stay in the same price point. Thanks! Hi Sarah… Thanks for commenting! I might suggest either Kung Fu Girl Riesling or Chateau Ste Michelle Riesling, both from Washington State. They should have that similar not too sweet citrus taste that Apothic White has.